Sometimes there are characters that transcend their source material and become cultural icons. Characters like Darth Vader, Indiana Jones, and Freddy Krueger are known instantly worldwide. You don’t even have to see any of the movies they’re in to know who they are. 40 years ago today, the world was introduced to another character of this stature in the 1976 film, Rocky. Sylvester Stallone as little known boxer Rocky Balboa pummeled his way to the top of the box office in his first venture. Rocky was the highest grossing film of 1976 despite a budget of just over $1 million. It was nominated for ten Academy Awards and came away with three including Best Picture. In 2006, the film was selected for preservation in the United States National Film Registry by the Library of Congress. Simply put, Rocky has been recognized as one of the greatest sports films ever made if not one of the best films period. The character is legendary and, like the aforementioned film characters, you don’t need to see the films to know who he is. So far, there have been six sequels to the original film. Sylvester Stallone has been the driving force behind the series not only as the titular character but also as a writer and director. Stallone has written every installment except for 2015’s Creed and he has directed four of them. The first film originally premiered on November 21st, 1976 in New York City but didn’t receive a widespread theatrical release until December 3rd. Since today is the 40th anniversary of the theatrical release, it’s time to take a look back and rank the entire series. One thing that has been impressive about the Rocky series is that they are all very watchable films. There are obviously cringeworthy moments throughout the series but there aren’t any installments that are just plain unwatchable. The closest the series comes to that is with Rocky V.
In this film, Rocky is fresh off of his battle with Ivan Drago from the previous film. His hands shake uncontrollably and it turns out that he has suffered brain damage from his years as a boxer. On top of that, his brother-in-law, Paulie (Burt Young), somehow gave away power of attorney for Rocky’s estate to an accountant that lost all of the family’s money. This plot point goes relatively unexplained since you never see the accountant and it’s only mentioned in one scene. Basically, it forces the family to relocate back to Rocky’s old stomping grounds in Philadelphia. Here, he meets a young fighter named Tommy Gunn (Tommy Morrison). Since Rocky can no longer fight due to his condition, he trains Tommy just as his own trainer, Mickey, did for him in the earlier films. Boxing manager George Washington Duke (Richard Gant) tries to get Rocky out of retirement to fight his client, Union Cain (Michael Williams). Along with the insistence of his wife, Adrian (Talia Shire), Rocky continuously turns down Duke who, in turn, targets Tommy as a client to force Rocky out of retirement. The film also touches on Rocky’s son, Robert (Sly’s real life son, Sage Stallone), and the relationship between them. As Rocky becomes more involved with Tommy, Robert becomes the outcast. Again, this film isn’t unwatchable but it’s the worst by far. It was nice to see Rocky back at a bunch of locations from the first film but it feels somewhat forced. He even wears the same outfit that he wore in the original. The family is more of a focus which is fine but there’s no real progression. This film was directed by John G. Avildsen who also directed the original which could’ve influenced the connections between films. The final fight isn’t even a boxing match. Rocky has a street fight with Tommy which doesn’t make much sense due to his brain damage. A street fight is far more dangerous than a boxing match. Either way, Rocky V isn’t the worst film ever but definitely don’t expect too much from it. It’s kind of like a drama mixed with the goofier moments from Spike Lee’s Do the Right Thing. This seems to be the one that sticks out for a lot of people. After all, it’s the highest grossing film in the series. Ivan Drago (Dolph Lundgren) is a classic movie villain to Stallone’s hero. This is also the Cold War Rocky film. Drago, his wife, Ludmilla (Brigitte Nielsen), and manager, Nicoli Koloff (Michael Pataki), arrive from the Soviet Union looking to land a match with the heavyweight champion, Rocky. Instead, Drago faces off against Rocky’s former opponent and friend, Apollo Creed (Carl Weathers), in an exhibition match in Las Vegas. Drago ends up beating Apollo to death in the ring while showing no remorse. From here, Rocky agrees to fight Drago in the Soviet Union. One of the biggest missteps in this film was not developing Drago’s character more. He only has a handful of lines and is physically imposing but that’s all. In all honesty, that’s about all there is to say about the plot of the film. The majority of the runtime is spent on montage sequences. There are montages that show nearly every important scene from the previous films and the fighters training for their match. There’s a big song and dance number featuring James Brown during Apollo’s entrance in Las Vegas. For the most part, Rocky IV features a ton of pro-USA Cold War propaganda. At one point, Apollo says to Rocky, “This is not just an exhibition fight. 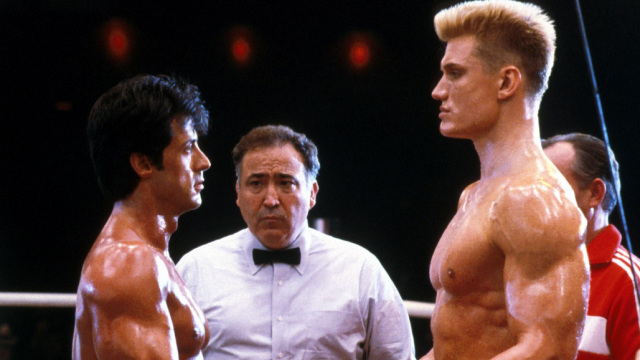 This is us versus them.” Even during the battle with Drago, the Russian crowd grows to appreciate Rocky as a fighter. The film is all 80’s cheese but it’s still enjoyable despite being over-the-top and ridiculous. One final note about this film is that Rocky owns a robot. A robot. Where Rocky IV was somewhat bad 80’s cheese, Rocky III is good 80’s cheese. This is the film that forever linked “Eye of the Tiger” by Survivor to the series. The metaphorical “eye of the tiger” is a philosophy that Apollo claims Rocky had in their first two fights. He was a man with something to prove. In this film, Rocky faces off against Clubber Lang (Mr. T) on two separate occasions. Before their first matchup, Rocky milks his celebrity status and makes his training into a big production while Clubber trains hard and alone. Rocky’s manager, Mickey (Burgess Meredith), worries about Rocky against Clubber and doesn’t believe that he can beat him. 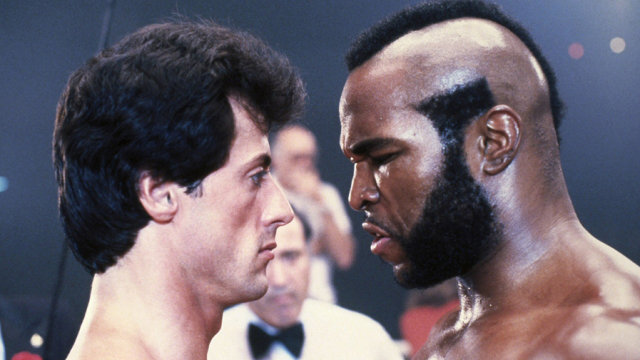 Needless to say, Clubber dominates Rocky in their first meeting and becomes champion. The rest of the film is spent seeing Rocky and Apollo teaming up to regain the “eye of the tiger.” Yes, the song and phrase are pushed heavily in this film. It works for the plot overall but it also kind of hits you over the head with the theme. There’s another good montage sequence of the two training after Rocky finds his motivation and the final fight is solid as well. It’s not quite as cinematic as the ones from II and IV but it feels more real. Clubber isn’t the type of boxer that goes the distance with his opponents. He’s a wrecking machine that throws knockout blows early in his fights. Rocky must counter Clubber’s power with speed and his training with Apollo in Los Angeles (not Philadelphia in this film) centers on that. Rocky III isn’t as good as the first two movies but it’s still a very solid entry. Clubber Lang is an interesting character that gets quite a bit of screentime in the first half of the film. 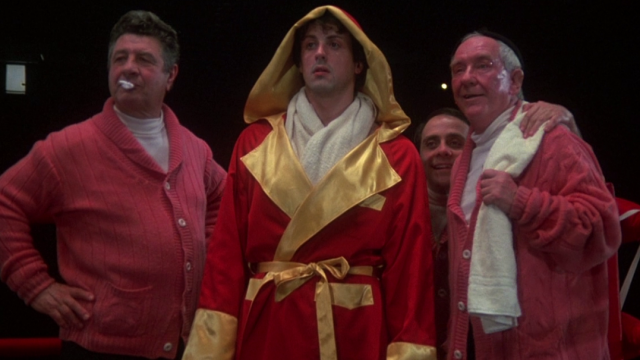 However, the second half abandons him almost entirely to focus on Rocky and Apollo. Also, Rocky fights Thunderlips (Hulk Hogan) in a boxer versus wrestler match at one point. It’s ridiculous but awesome. A little bit of a sidenote about this film is that Adrian becomes almost a different character at this point in the series. While she was a total introvert in the first film while slowly gaining confidence through her relationship with Rocky, in this film she’s definitely not afraid to voice her opinion. Talia Shire would continue with this version of Adrian until her final appearance in the series in Rocky V.
Sixteen years after Rocky V, audiences were gifted almost what amounts to a redo in Rocky Balboa. While the stories aren’t the same, the intent of the films are very similar. 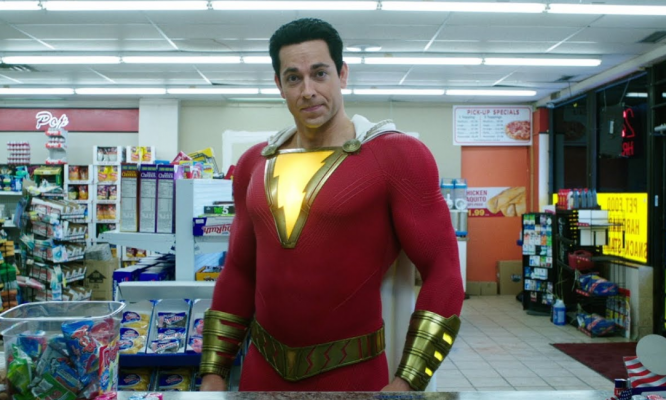 Just as in V, viewers get to see important locations from the previous films like Mickey’s gym, the pet store where Adrian worked, and the former site of the ice rink that had been torn down. This film feels like a love letter to the entire series and a reprieve for some of the more lackluster sequels. In this film, Rocky is obviously older and long retired from the ring. Adrian has since passed away and Rocky continues his life in mourning of his wife. Burt Young returns as Paulie, Adrian’s brother, who also is in a similar boat as Rocky. He comes to terms with how horribly he treated his sister but tries to keep his eyes on the future while Rocky continues to live in the past. After seeing a simulation of a fight between Rocky in his prime and the current heavyweight champion, Mason “The Line” Dixon (Antonio Tarver), Rocky gets the itch to return to the ring. Fantasy becomes reality when the two square off in an exhibition match in Las Vegas (Rocky IV, anyone?). All of the Rocky films are somewhat autobiographical to Sylvester Stallone. He often uses real life experiences and adapts them to the character. In the years since his last turn as the character, Stallone had become a 90’s action star but the well had mostly run dry by the early 2000’s. He had mostly been forgotten about yet still had name recognition. The same is true of the Rocky character in this film. He’s a legend in Philadelphia but mostly forgotten about on a daily basis. One of Stallone’s best performances of the character is in this film as a sympathetic, broken down, yet inspiring character. The world of the film is bleak and a stark contrast from the glitz and glamour of the 80’s films. This is, by far, one of the best films in the series and a great movie in general. There really isn’t much separating the films ranked 2-4 on this list in terms of quality. The reason that Rocky II sits above the previous film on the list is that this is the film closest in tone to the original. The structure is almost exactly the same except that the stakes have been raised for both Apollo Creed and for Rocky. Also, this film provides more character depth and establishes Apollo as a main character for the rest of his tenure in the series. After the absolute battle the two fighters had in the first movie, Apollo is bothered by the fact that Rocky was able to go the distance with him. He demands a rematch even though Rocky claims to be retired (the first of many times). He earned enough money from their fight that he’s content with calling it quits. On top of that, Rocky has problems with his right eye that he suffered in the previous fight. Rocky and Adrian also get married and have a child during this film. Apollo embarks on a smear campaign to coax Rocky out of retirement and fight him one more time for the championship. Obviously, it works and Rocky and Mickey gear up for one more run at the title. Again, this film is very similar to the original. A lot of the old locations are visited once again and the cast is largely the same. That being said, it’s one of the best sequels that you could ask for. It takes what was done so well in the first movie and adds to it. The characters have more depth and emotion. They both have reasons for fighting or not fighting. Their eventual fight has a big match feel to it and there’s an electricity to the storyline and the characters. It may be a little bit too much like the original but it’s almost as good as its predecessor as well. While this film is technically a spinoff, it still stars Stallone as Rocky Balboa and is a continuation of the character’s story. Creed was a total surprise hit last year. Director Ryan Coogler and Michael B. Jordan, who plays Adonis/Donnie Johnson AKA Adonis Creed, previously worked together on Fruitvale Station (check out our review here) to universal acclaim. 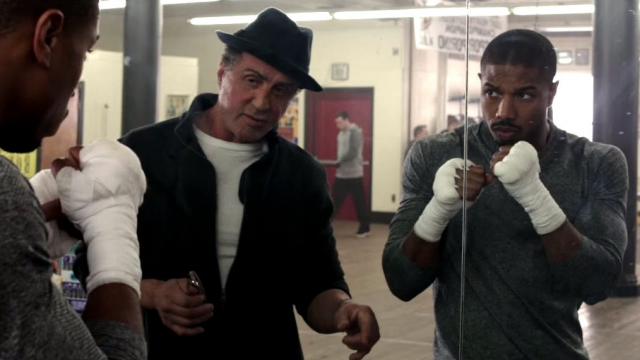 When the two teamed up with Stallone for Creed, the results proved to be just as fruitful. The film focuses on Apollo Creed’s illegitimate son, Adonis, in his quest to follow in his father’s footsteps. He seeks out his father’s friend, Rocky Balboa, in Philadelphia to help train him. Initially reluctant, Rocky agrees to train Donnie. Meanwhile, Rocky does have to fight a battle of his own. This time, though, it’s against non-Hodgkin lymphoma. With the majority of Rocky’s friends having passed away, he comes to grips with his own inevitable demise and must decide whether to seek treatment. Eventually, Donnie lands a light heavyweight championship match against “Pretty” Ricky Conlan (Tony Bellew). 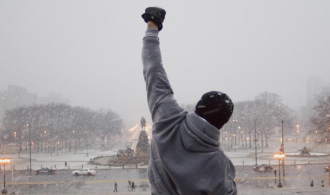 Rocky Balboa was a love letter to the series, but this film breathes a whole new life into it. Michael B. Jordan is excellent as Donnie but Sylvester Stallone gives, arguably, his best performance as Rocky in the entire series. His role is the reason that Creed sits higher on this list than the previous two. Even as far back as the fifth movie, Rocky tried to slide into a trainer’s role as opposed to a fighter. With Apollo’s son, though, it makes perfect sense for him to take up the “Mickey” role in Creed. Stallone even received an Academy Award nomination for the role which, coincidentally, had been his first Oscar nod since his nomination for his role in the original film. Speaking of Oscar nominations, it’s a crime that Creed didn’t pick up nominations for Coogler and Jordan as well. Just as with our last Best & Worst feature for the Halloween franchise, was there any question as to what number one would be? Without question, 1976’s Rocky is the best of the series. The film isn’t about boxing. It’s about a character who happens to be a boxer. The character’s life, desires, relationships, and everything in between are all on display here. Rocky Balboa is a down-on-his-luck boxer who fights in small clubs for a low wage. On the side, he works for a loan shark, Tony Gazzo (Joe Spinell), collecting debts. He’s attracted to a shy, young woman named Adrian who works in a pet store nearby the gym he works out at. He eventually gains her trust and they begin their relationship. The heavyweight champion, Apollo Creed, has a fight scheduled for New Year’s Day, also the United States Bicentennial, but his opponent is unable to compete. He targets Rocky as an opponent due to his nickname, “The Italian Stallion,” and the idea of giving an unknown a shot at the title. Rocky recruits gym owner, Mickey, who has a flaring temper, to be his trainer to take Apollo to the limit. 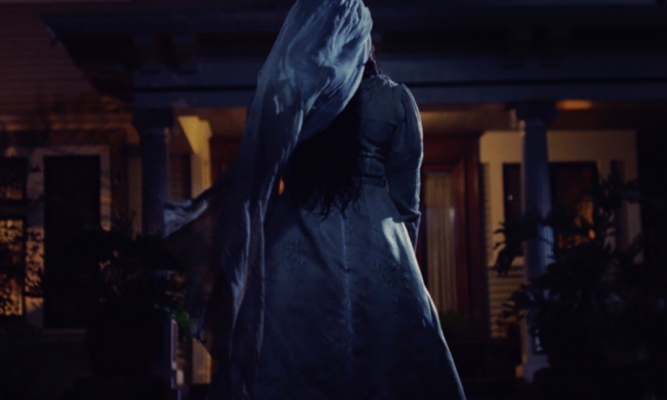 Being a low budget film, it has a very realistic look. It’s not as flashy as some of the later films and that’s its charm. Everything about it feels legitimate. Even Rocky and Adrian’s relationship. There’s a lot of skepticism on the part of the softspoken Adrian but you see their relationship blossom and each person’s confidence grows as the film progresses. 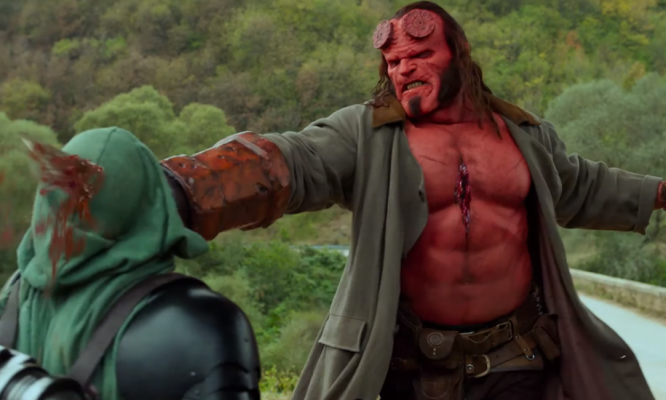 Of course, the fight is the highlight of the movie and it doesn’t disappoint. Apollo doesn’t appear to take the fight seriously at first but his tone quickly changes after he realizes that Rocky is willing to stand toe to toe with him. They have a grueling fight and the makeup on each actor by the end is the best of the series. The two look as if they’ve been through a war. It’s an inspiring film and easily the best of the series despite some strong competition. 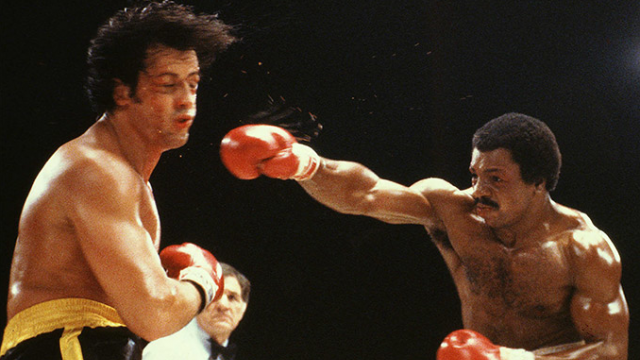 Overall, the Rocky series is probably one of the most consistent film franchises of all time. Even for its slight missteps with the fourth and fifth entries, there’s nothing offensively bad. Also, there isn’t much disparity between the top four films on this list. If it wasn’t for the cultural impact and quality of the first, any one of the others could have taken top honors in a lesser franchise. If you have yet to watch the Rocky films, definitely check out the first one at the very least. They do get worse as you progress but, for the most part, they all have something to offer with maybe the exception of Rocky V.
There’s no doubt that Rocky Balboa is one of the best cinematic characters of all time. 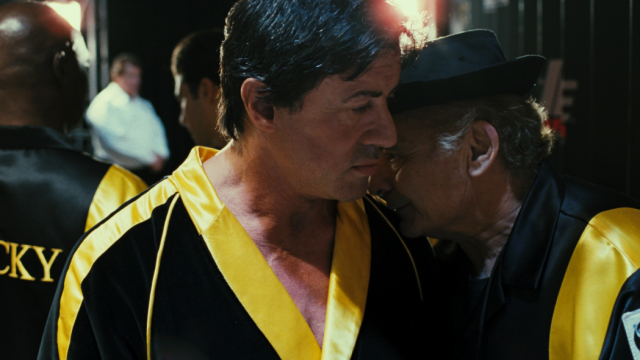 The time, care, and effort put into the series by Sylvester Stallone is nearly unprecedented. For a single person to play the lead, write, and direct the majority of such a consistent franchise is a feat in itself. Stallone put his heart and soul into the character and has crafted a legacy because of it. In many ways, he’s one with the character which is why Rocky will always be considered one of the best. In conclusion, let’s all wish a happy 40th anniversary to Rocky!